Obstructive Sleep Apnoea (OSA) affects approximately 4% of the adult population. A large proportion of cases remain undiagnosed. If you have OSA, (Obstructive Sleep Apnoea), you stop breathing repeatively during sleep because your airway collapses. Upper airway collapse may be due to decreased muscle activity, increased tissued around the airway, or structural features that led to a narrowed airway. As a result, air is prevented from getting into the lungs, carbon dioxide levels in the blood rise and sleep is disrupted. 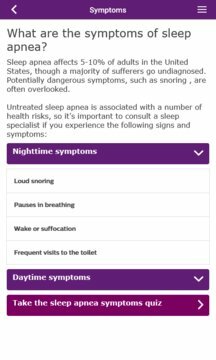 Find out if you, your partner or a member of your family is at risk of OSA, with our sleep quizz. Find a medical doctor or a medical distributor in your area using the map locator. 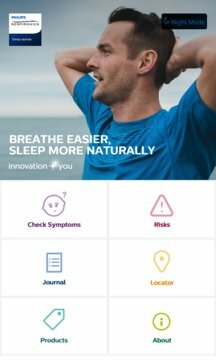 Keep a daily sleep journal that can help diagnose sleep apnea.